It was good to hear the recent news that computer pioneer Alan M Turing has been granted a posthumous royal pardon for his 1952 conviction for gross indecency (as a result of a homosexual act, which at that time was illegal in the UK). His punishment, for which he chose chemical castration rather than a prison sentence, and subsequent loss of security clearance for his cryptanalysis work are thought to have led to his untimely death by suicide two years later in 1954. 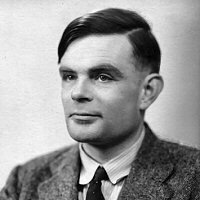 However, Turing’s pardon has also caused considerable controversy, as the thousands of other men who were convicted of homosexual acts during the same period are unlikely to receive the same treatment. It seems that Turing has been singled out for a pardon as a result of his status as a national hero rather than for the degree of injustice that he suffered. Alan Turing is one of the few British computer pioneers who is a household name. This is well-deserved and an accurate reflection of the magnitude of his achievements. However, many of the comments made in the media in the wake of the royal pardon announcement credit Turing with having a much greater influence on the development of the computer than is perhaps deserved. Turing’s greatest achievements were in the field of mathematical logic and relate to the theory of computation rather than the practical development of computers. His philosophy on the design of computers was to keep the hardware as simple as possible and rely on clever programming instead. Consequently, his only computer design, for the NPL ACE (Automatic Computing Engine), made very little impact. Like Charles Babbage a century earlier, Alan Turing’s achievements went largely unrecognised during his lifetime and can only be fully appreciated when put into the context of later developments. However, we must be careful not to place credit where it is not due. Turing didn’t invent the modern computer anymore than Babbage did but his work did provide a solid theoretical foundation for later developments and for this he deserves to be honoured. This entry was posted in Uncategorized and tagged Alan Turing, NPL Ace on 28/12/2013 by Stephen J Marshall. Are References Necessary in Non-Fiction Books? A few people have asked me if I intend to include references in my book. References are common in non-fiction books and usually take the form of a superscript number at the end of a sentence which links to a numbered list at the foot of the page, end of the chapter or back of the book containing the references to the source material. Personally, I find references of this kind very annoying when reading a book. They are difficult to ignore but severely interrupt the flow of the text when followed. I appreciate that they are necessary for academic publications, but are they really necessary for books aimed at a more general readership? Few non-academic readers will want to check out a reference and those who do can easily look it up on the Web. References shouldn’t be required in order to support the author’s credibility, as the publisher will have made sure that the author knows his or her subject thoroughly before agreeing to publish the book in the first place. If you look at the sample chapters of my own book, you will see that I’ve taken a slightly different approach. At the end of each chapter there is a section entitled Further Reading which lists a selection of the source material for that chapter plus any related publications which may be of interest. Any readers who want to delve deeper into the subject can do so by obtaining copies of this material, much of which can be found on the Web. Of course, a publisher may take a different view and insist that I include full references for every scrap of source material used in the book. I hope this won’t be the case but I guess it would be a small price to pay for the privilege of having my book published! This entry was posted in The Book and tagged non-fiction, References on 06/12/2013 by Stephen J Marshall.